Use qualitative and quantitative real estate data and analytics to obtain accurate returns and expenses calculations. 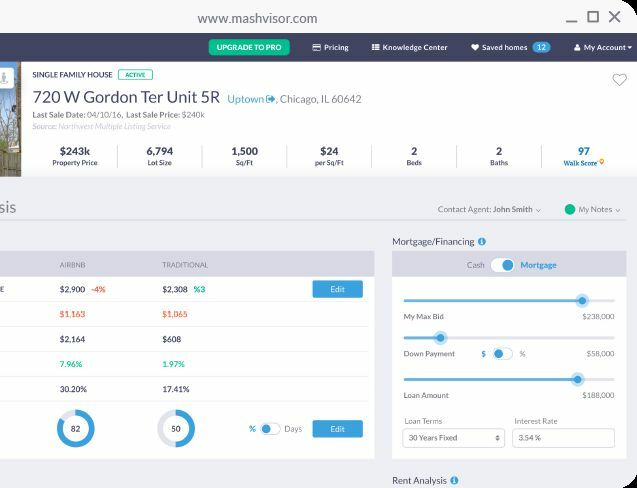 Try Mashvisor for 5 days. No risks, and no credit card required. 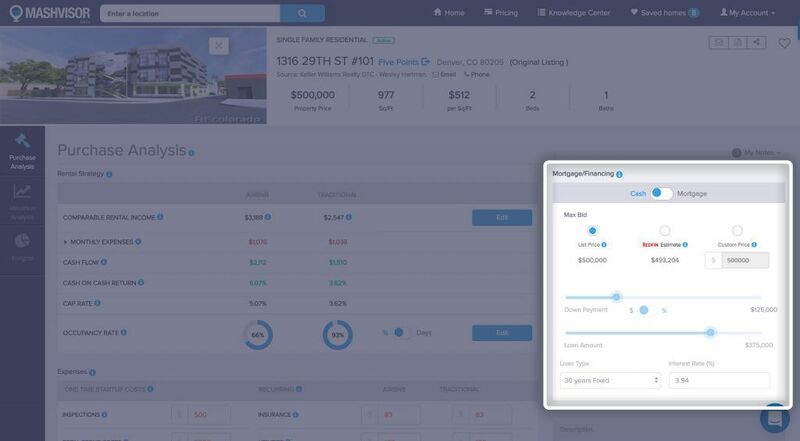 Choose between Cash or Mortgage for optimized search results. Choose your type of loan, its lifetime, and its interest rate. Get accurate calculations of your returns based on your loan preferences. One time startup costs: inspections, repair costs, furniture and appliances, closing costs, and more. Recurring costs: insurance, taxes, mortgage payments, property management, maintenance, HOA fees, and more. Gain access to all of the basic features of the platform. Ideal for beginner real estate investors. Gain access to all features on our platform. Ability to export 5 reports/month. Ideal for professional investors and real estate agents. Gain access to all of our features. Ability to request new cities. 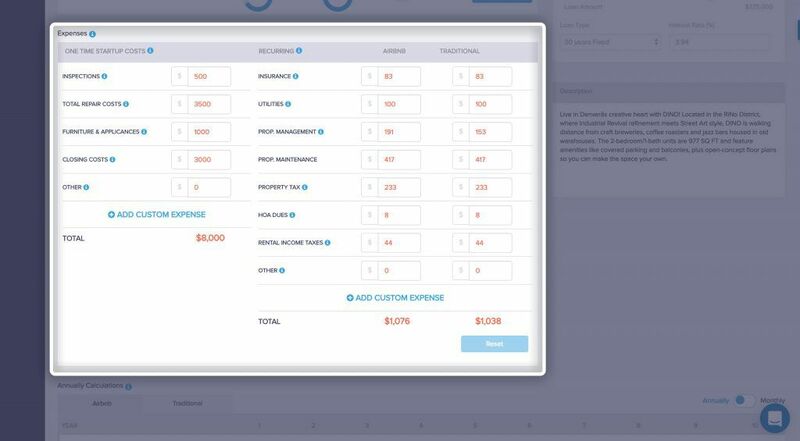 Ability to export up to 25 reports/month. Ideal for brokerage firms and real estate investment companies.